Since its inception in the 1960s to the regional negotiations in the 1990s and onwards, Central American integration has been a process characterized by both dramatic advances and setbacks. 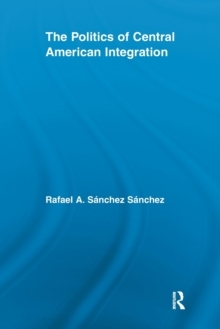 This book provides a theoretical explanation of this ebb and flow, examining different stages including the military conflicts of the 1980s, the subsequent Esquipulas peace process, and the relaunch of integration during the 1990s under the System of Central American Integration (SICA). 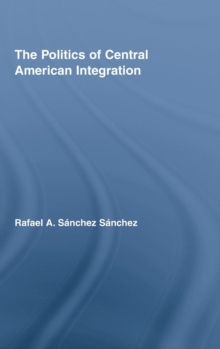 Sanchez Sanchez's analysis focuses on the policies and preferences of the larger states of the region, Costa Rica, El Salvador and Guatemala, and argues that integration relies on intergovernmental bargaining. Interviews, historical and comparative data are presented in a format invaluable for students and teachers concerned with comparative regional integration, as well as for those seeking a greater understanding of contemporary Central American regional and international politics and development.